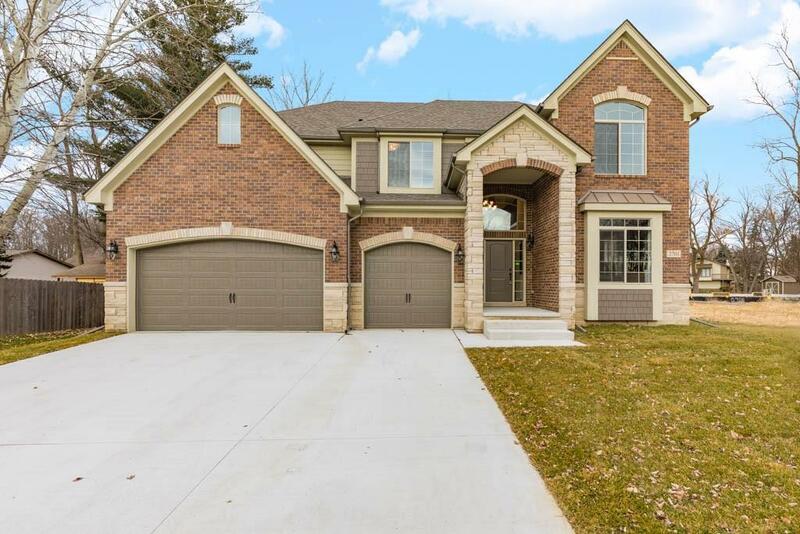 Gorgeous new build on a large, quiet Cul-De-Sac lot! Luxury home with top of the line finishes including 10 ft ceilings, solid wood floors, extra-wide crown molding, first-floor bedroom with full bath access and 2nd floor laundry room provide ultimate functionality. Fireplace in great room with granite surround and wood mantel. Gourmet kitchen with large center island, microwave, dishwasher, hood vent and 36" 5 burner dual fuel range. Walk in pantry closet, mudroom with command-center desk. The spa-like master suite features an enormous walk-in closet, huge master bath with floating, illuminated double vanity, gorgeous tile work, soaking tub and stand up shower. Princess suite (w/private bath). All 5 bedrooms have direct bathroom access, all beautifully detailed tile work - no "builder grade" here. Open loft/study nook on second floor with beverage station and extra deep basement w/bathroom-ready plumbing. Pack your bags, this is the one!